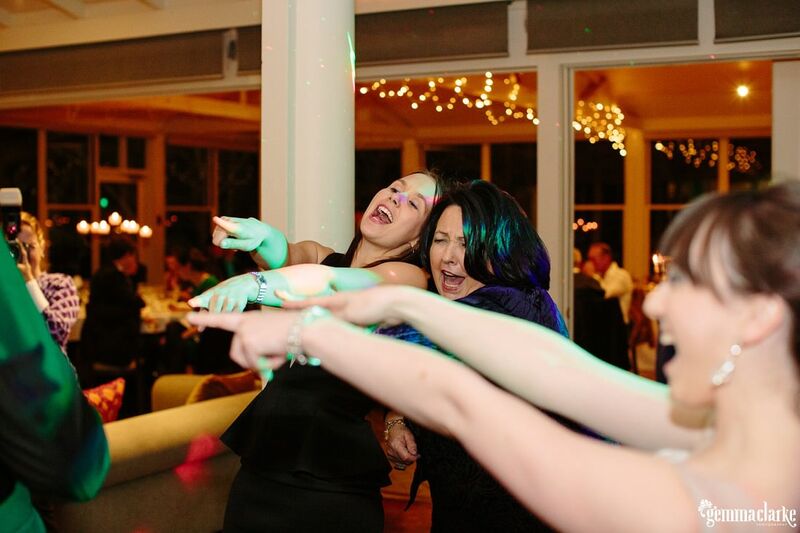 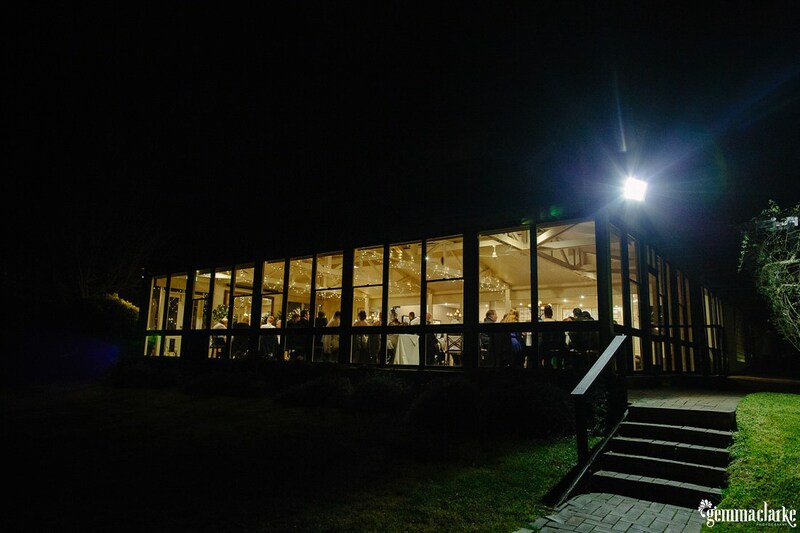 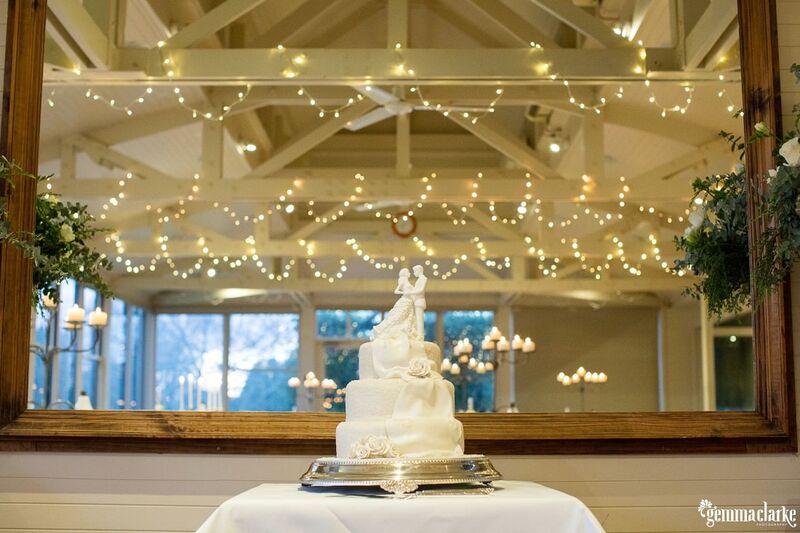 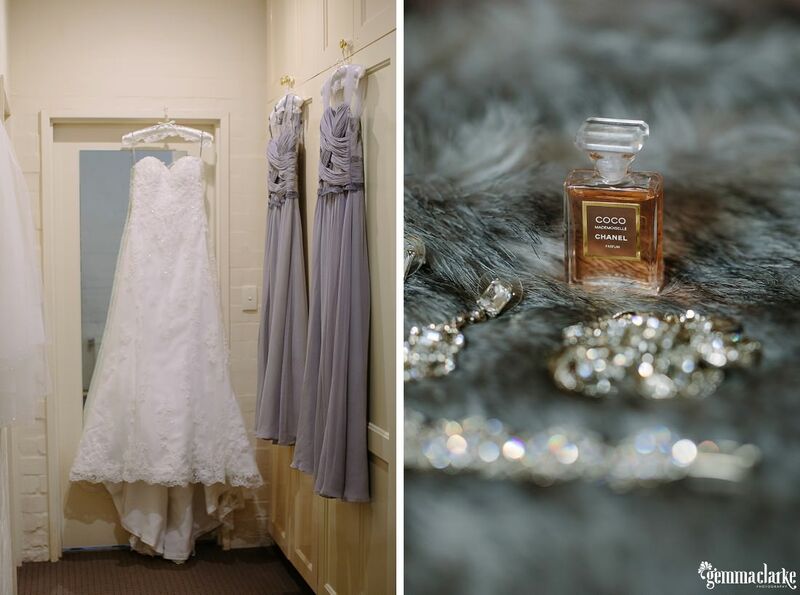 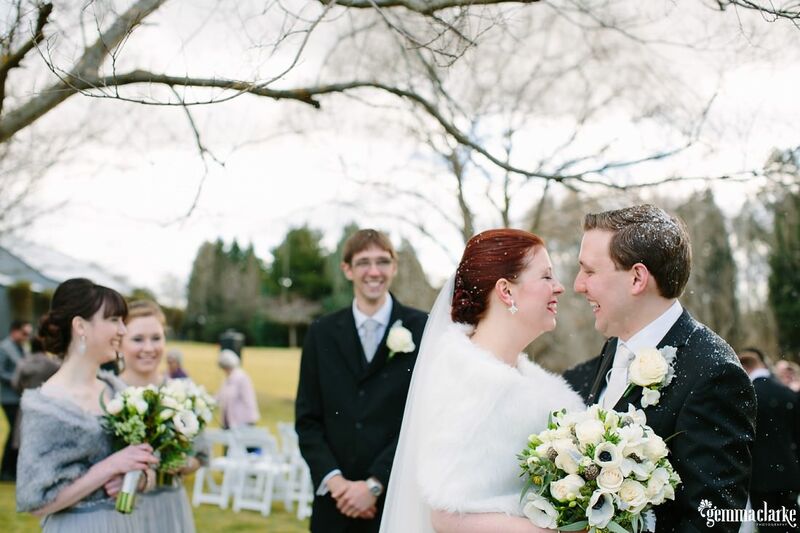 Sarah and Matt's Briar's Bowral Winter Wedding with a Snow Confetti!! 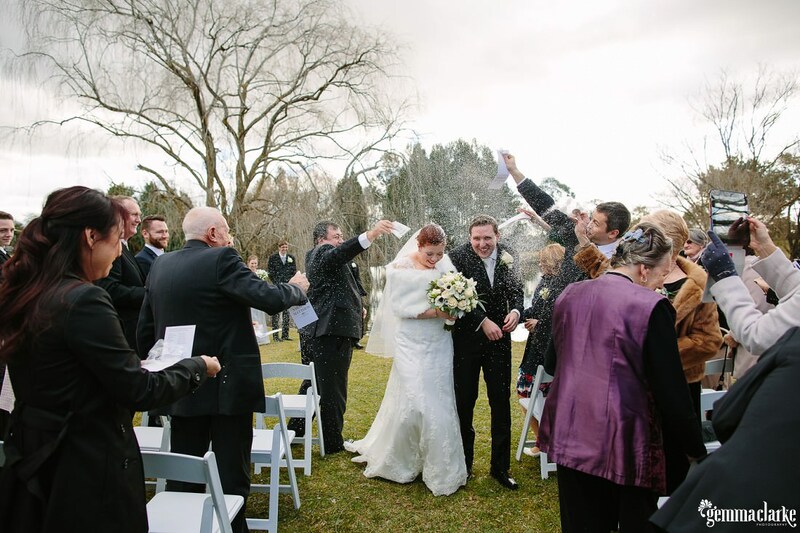 Sarah and Matt’s Briar’s Bowral Winter Wedding with a Snow Confetti!! 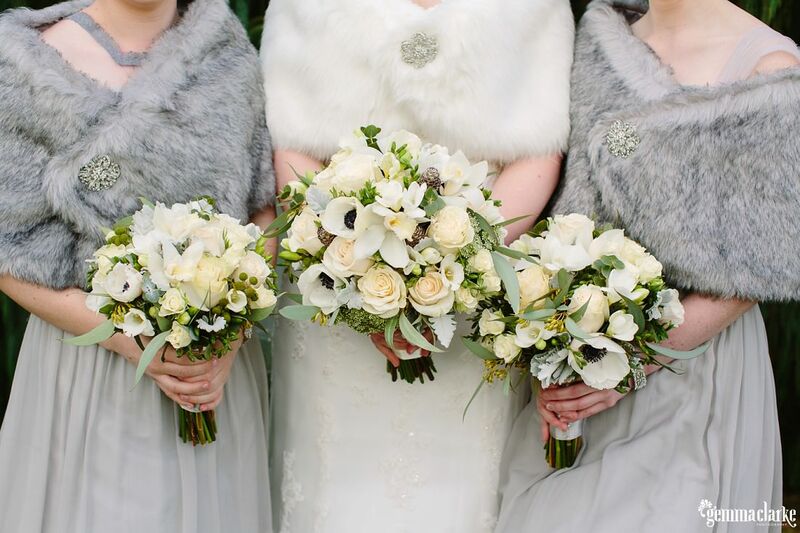 I know some people may think I am crazy but I like winter. 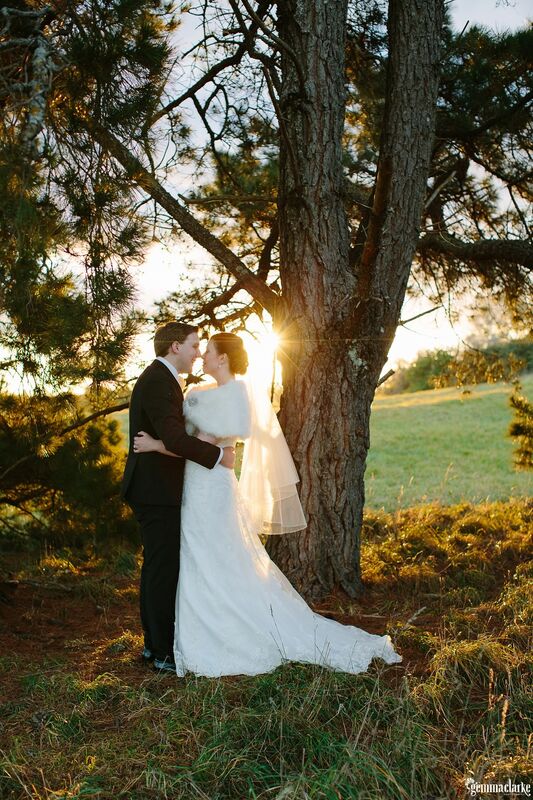 I like standing in the cool air with the sun warming me up. 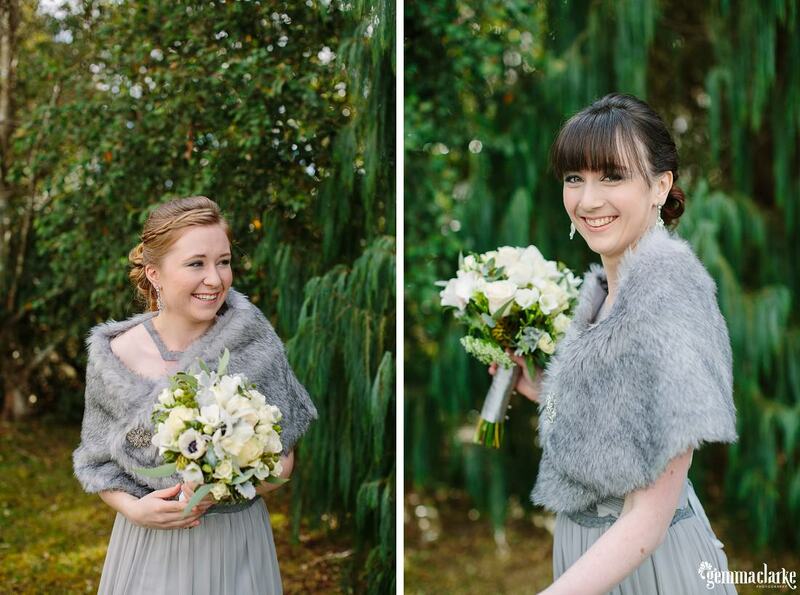 I love winter coats and cuddly scarves! 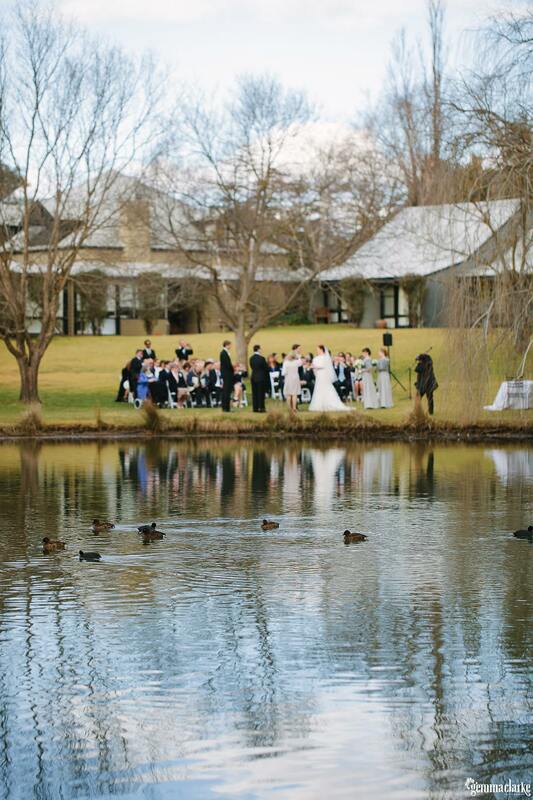 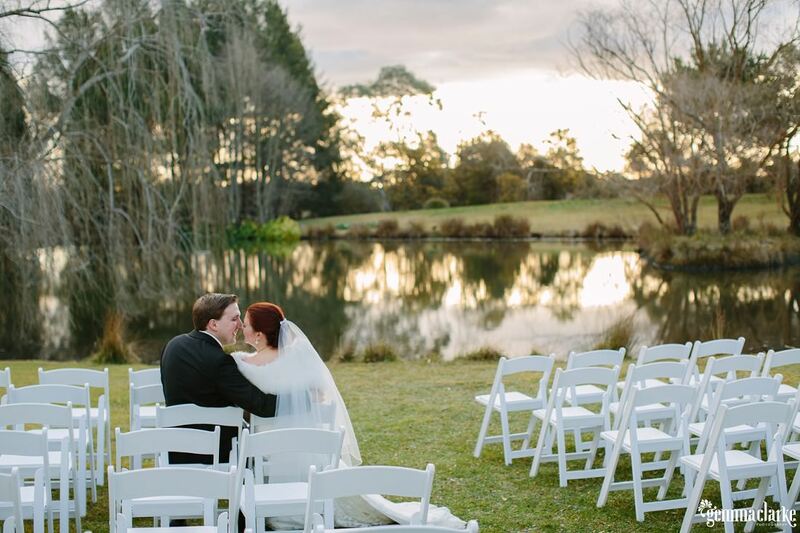 So when Sarah and Matt told me about their Bowral Winter wedding in the Southern Highlands, I jumped for joy! 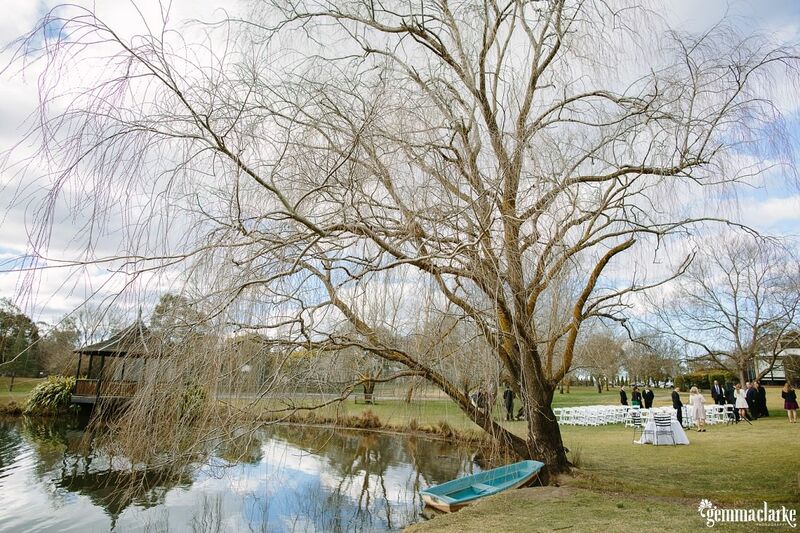 There is a quietness in the air, it is lovely. 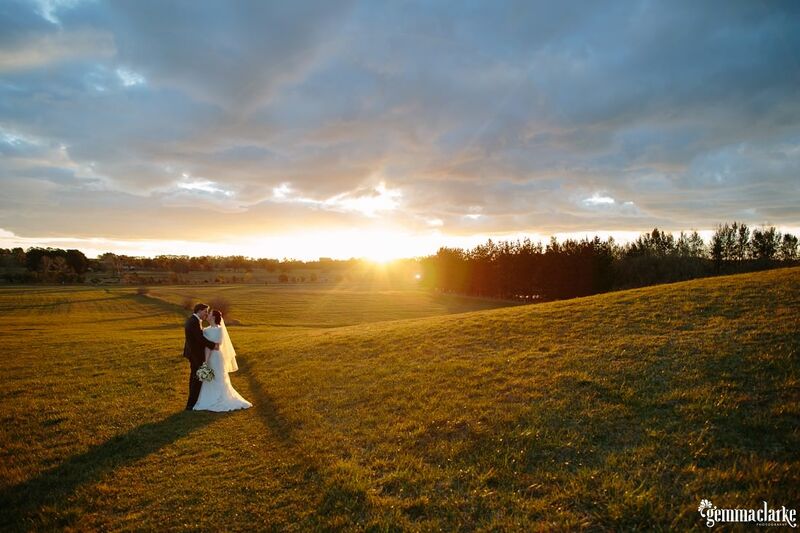 On average, winter days have less rainfall and stunning soft and glowing sunsets. 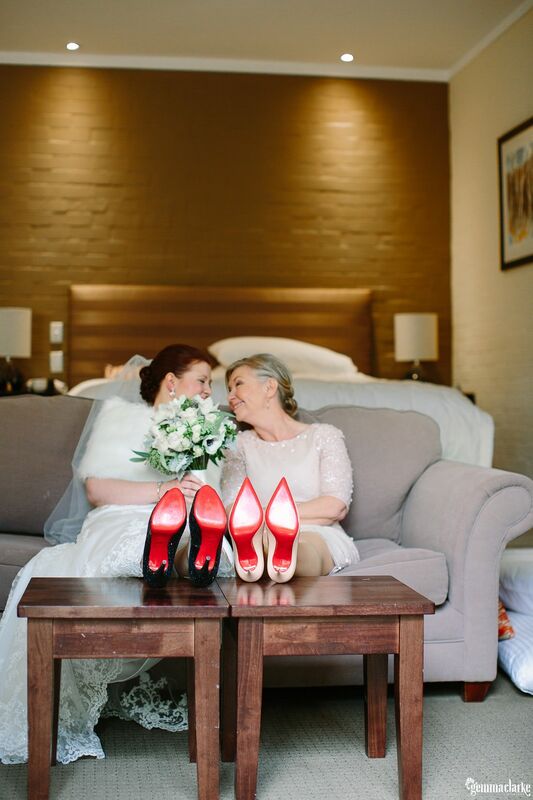 And this is exactly what we experience on this early August wedding day. 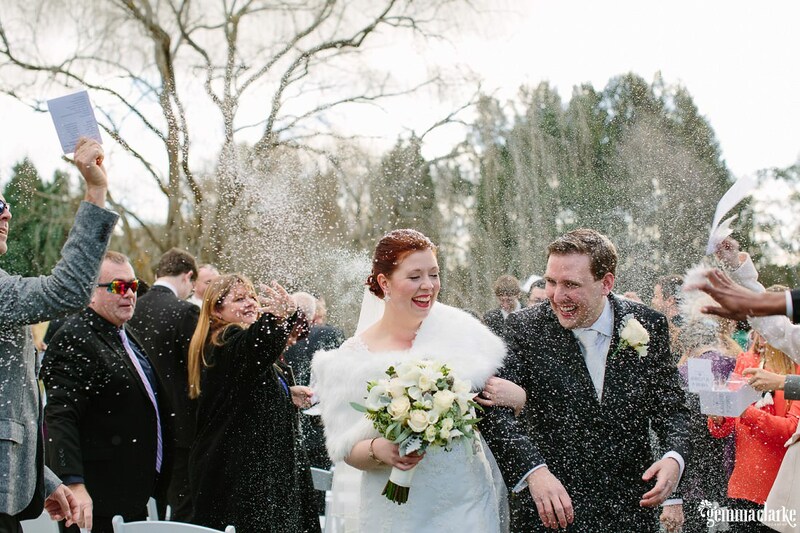 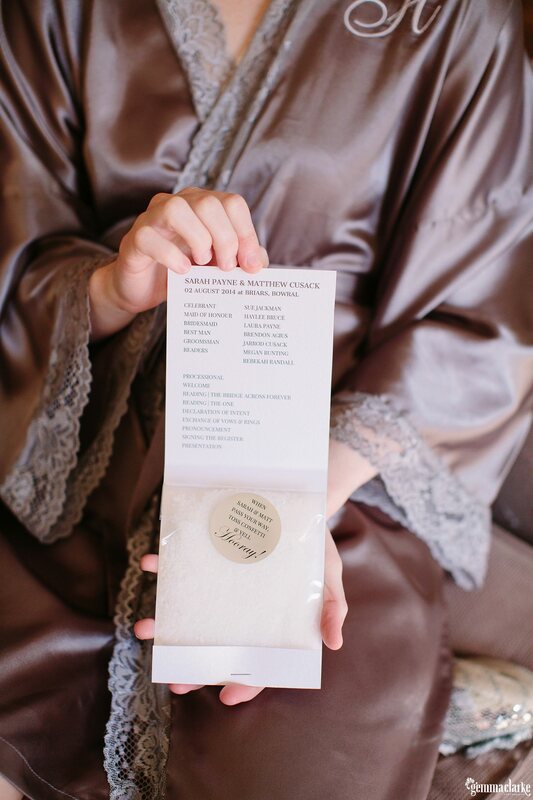 My most favourite part of their wedding had to be their ecologically sustainable confetti that looked like snow! 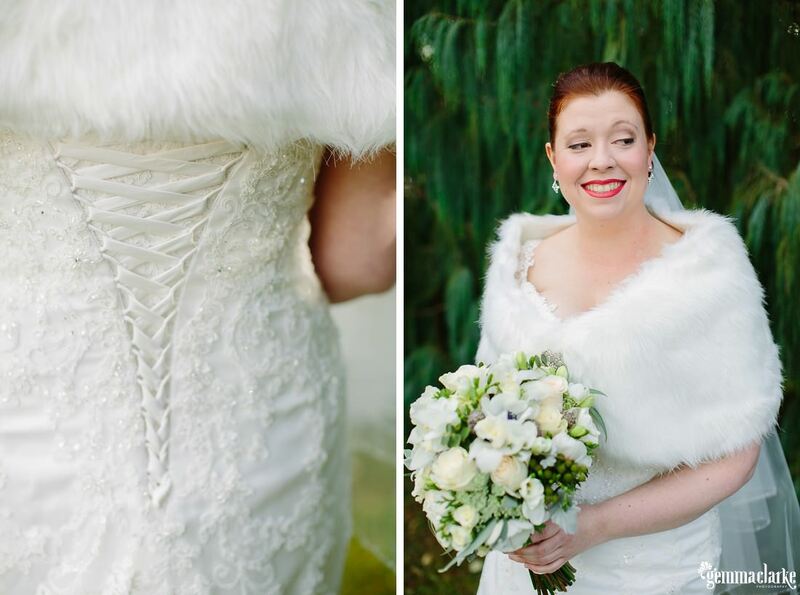 With Sarah’s faux wrap you could be fooled into thinking it was actually snowing! 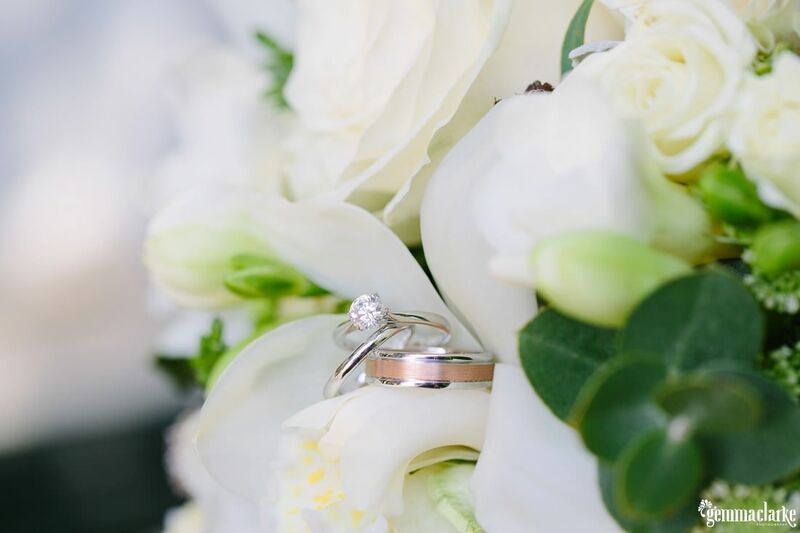 It took a long time for all the confetti to be removed from the bride and groom but they decided to embrace it as part of the day and just wore it proudly throughout the night! 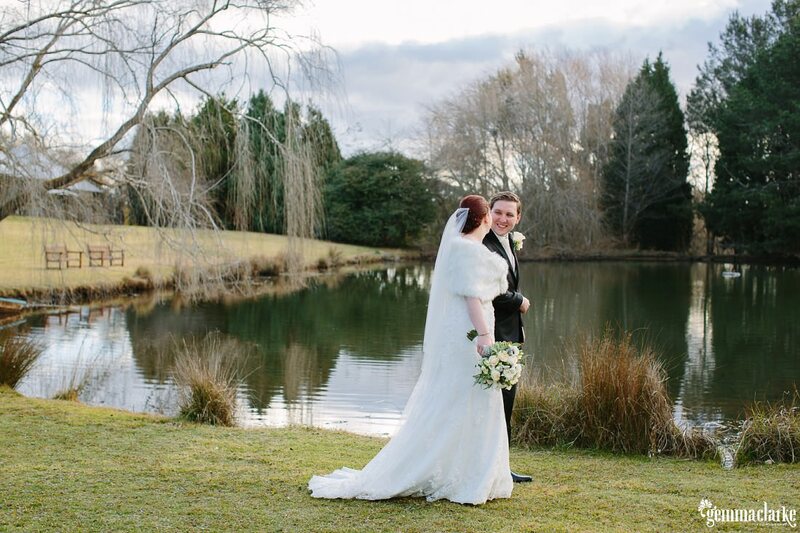 I am not sure if you believe me when I say this but Sarah and Matt told me they really don’t like being in front of the camera. 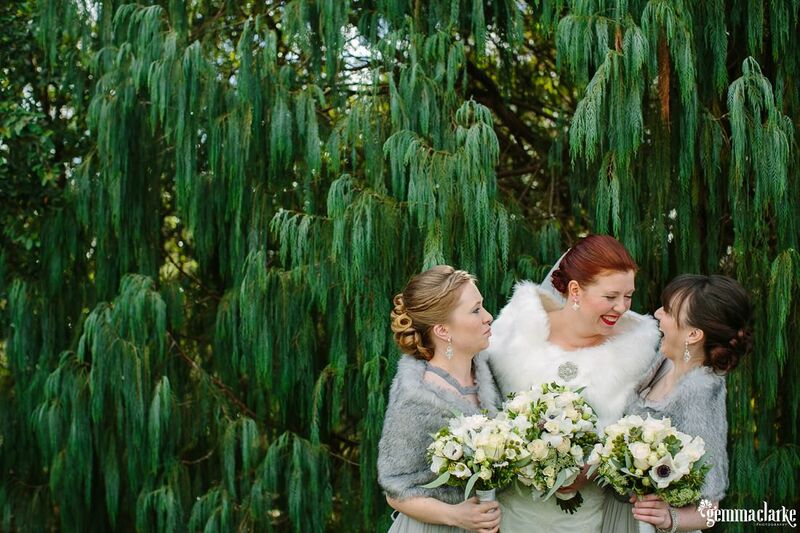 Apparently, if they could, they would hide every time! 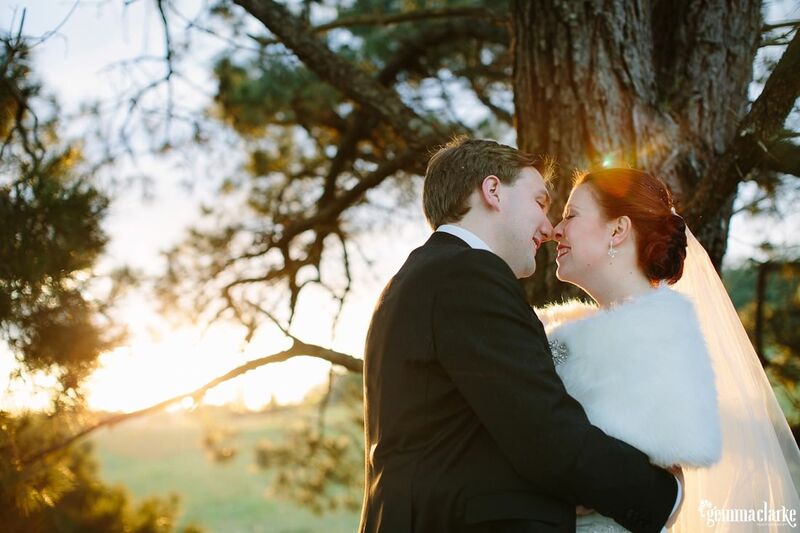 But after the portrait session we did before the wedding day they started to feel much more comfortable and very happy that I was there to capture their day. 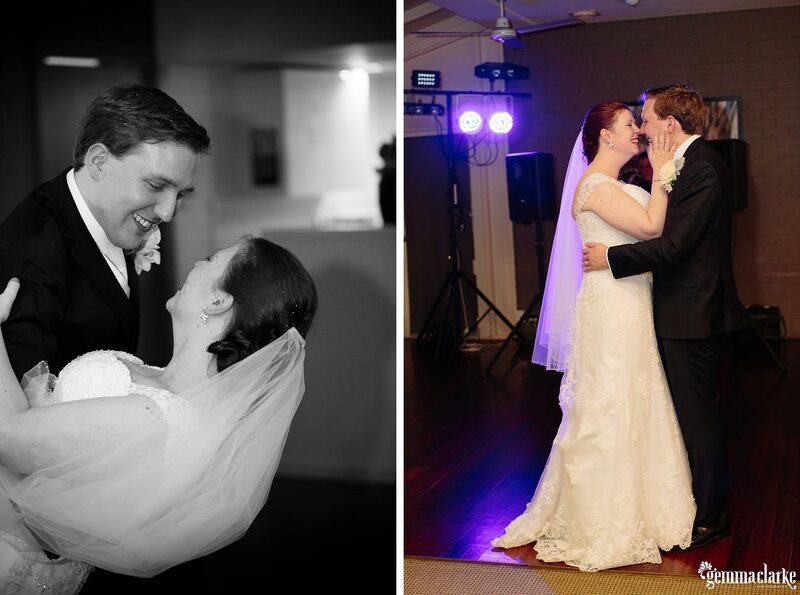 I am so happy I can do this for people who are worried about being in front of the camera as having these happy memories is so important :). 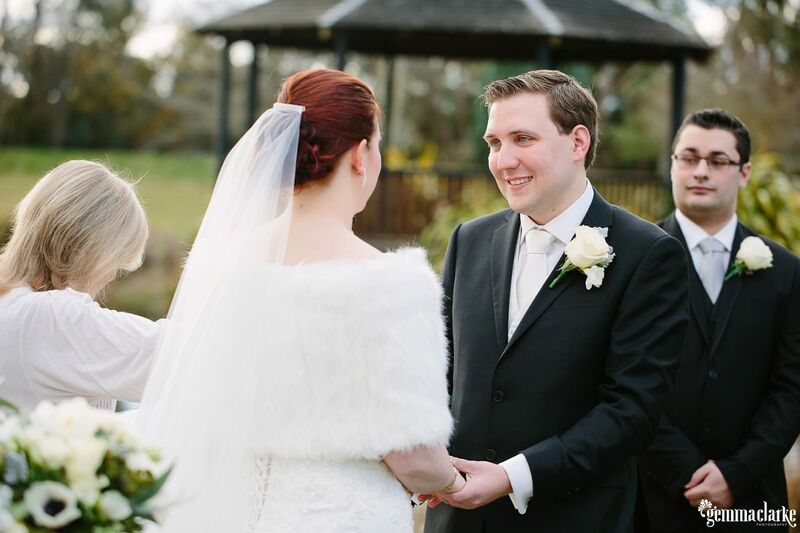 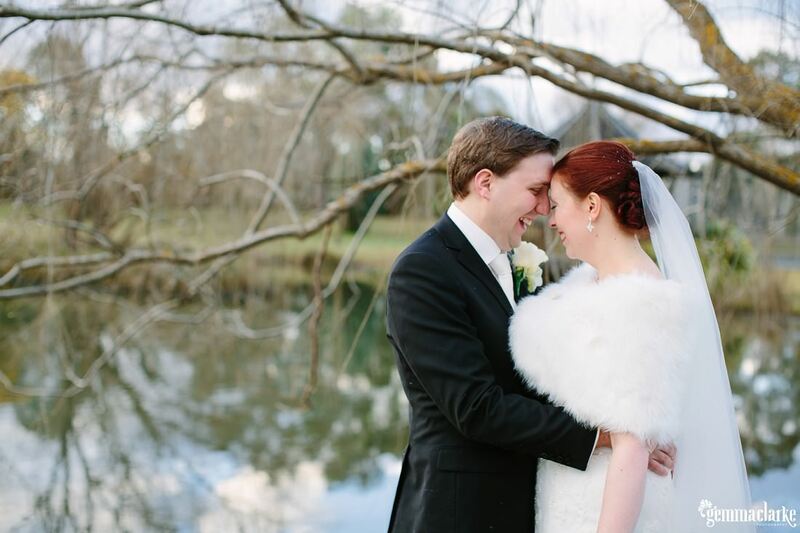 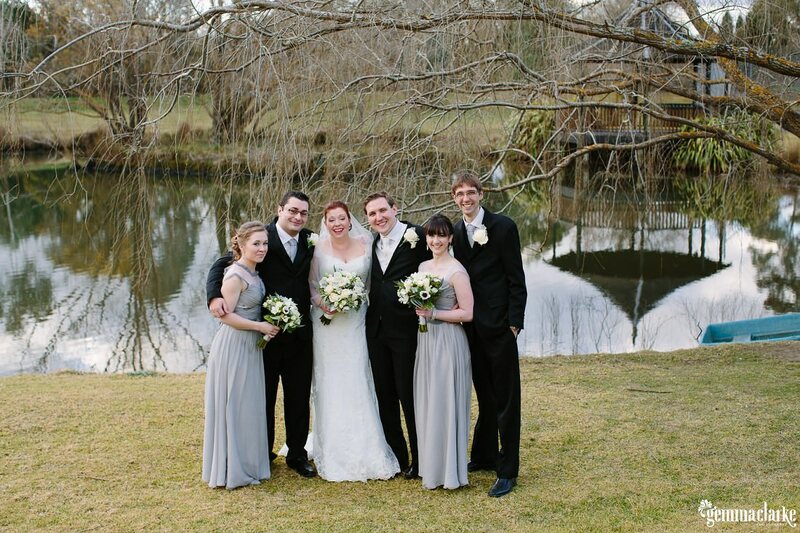 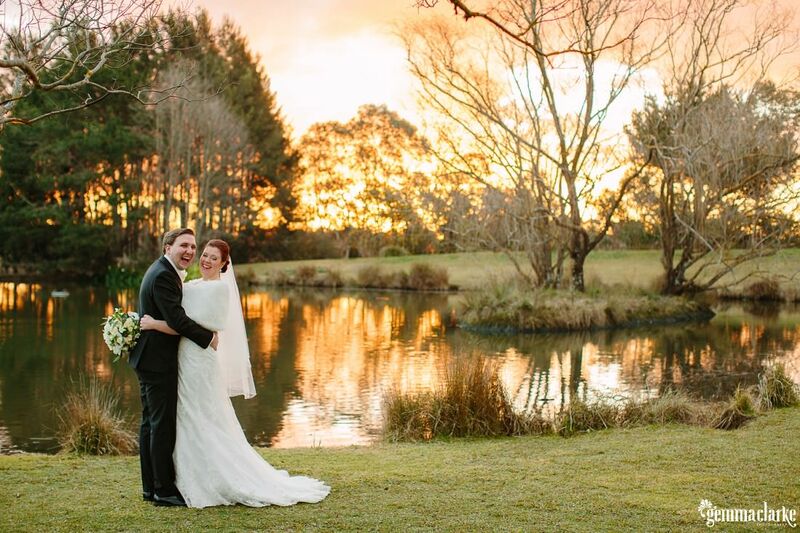 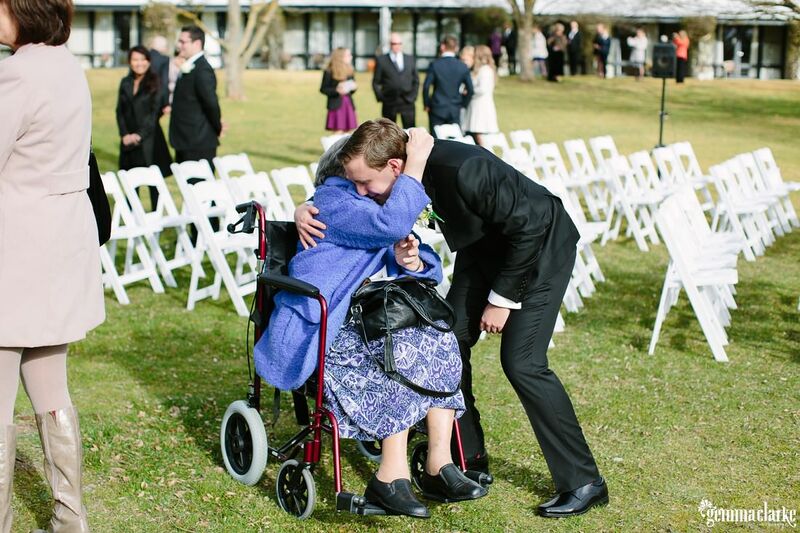 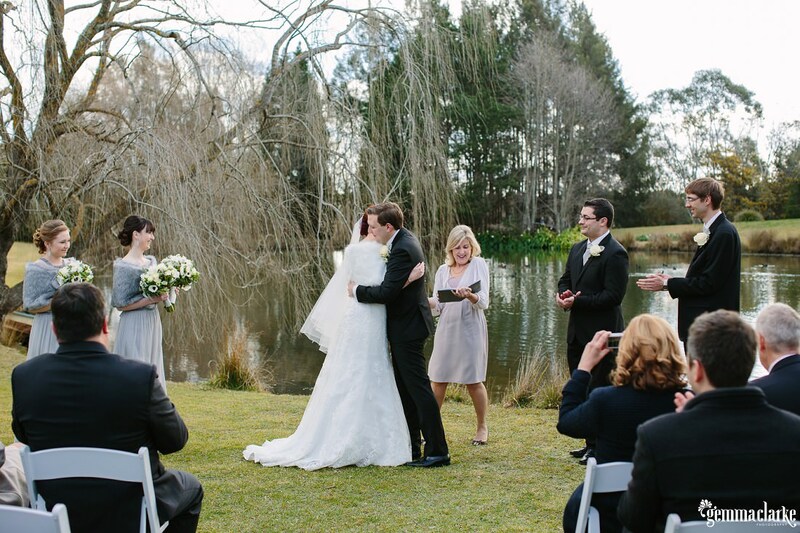 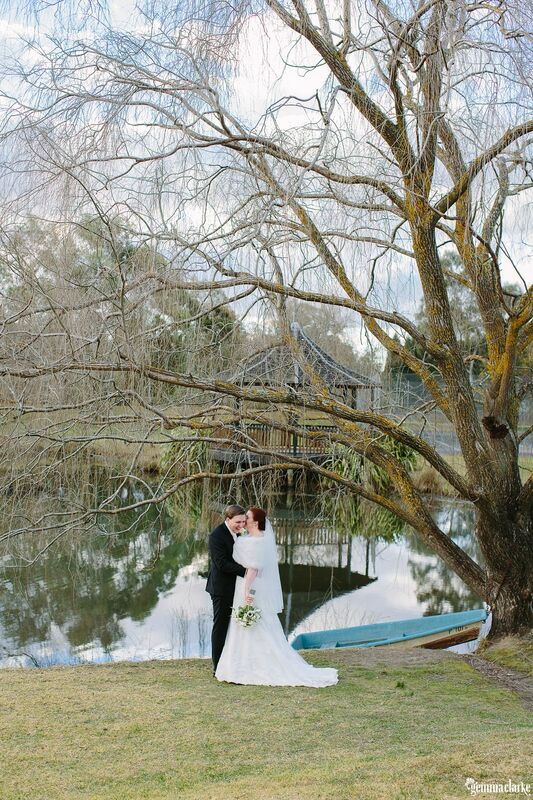 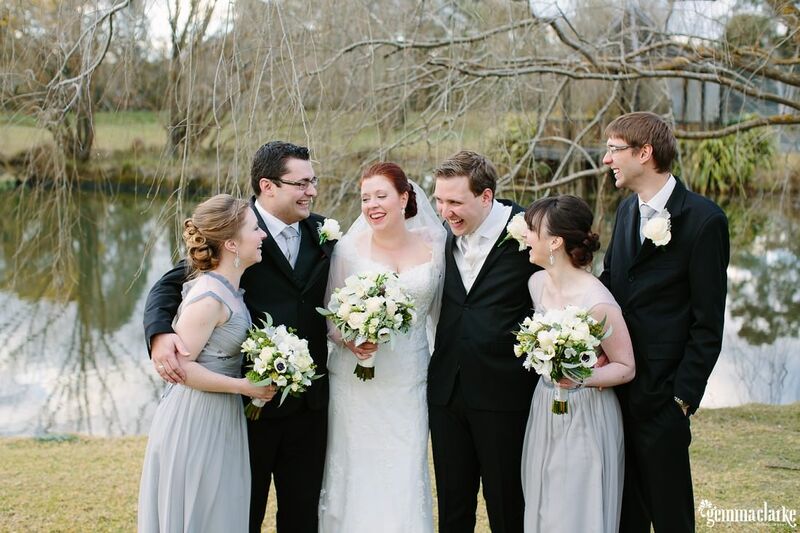 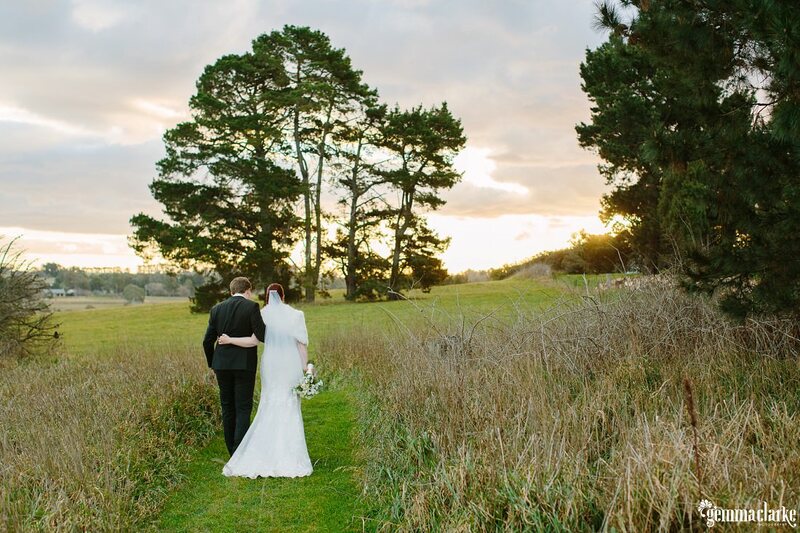 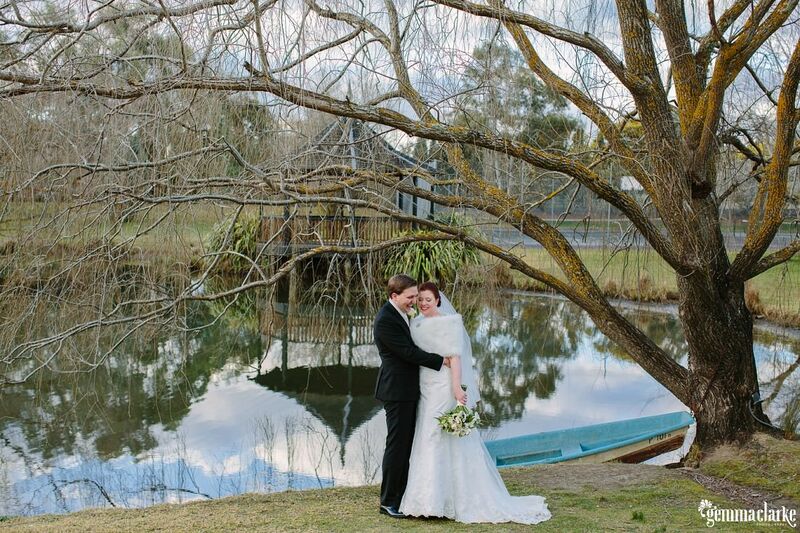 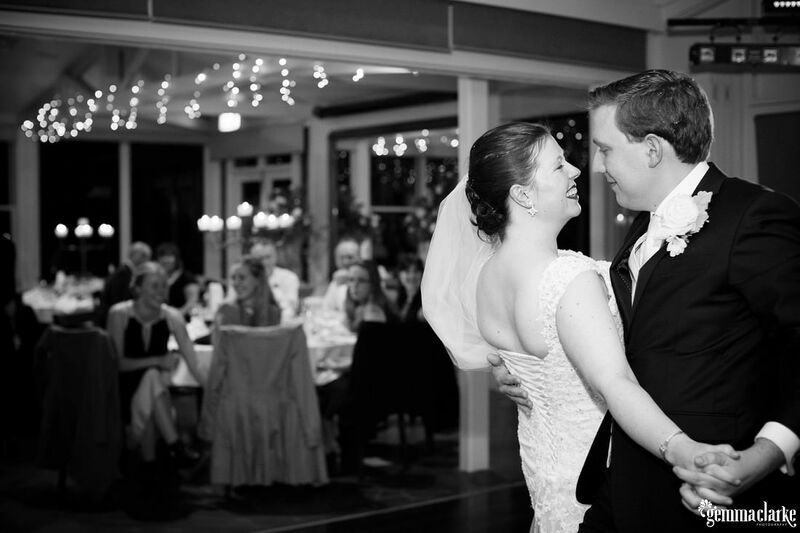 Please enjoy the fun and romance of Sarah and Matt’s Bowral Winter Wedding! 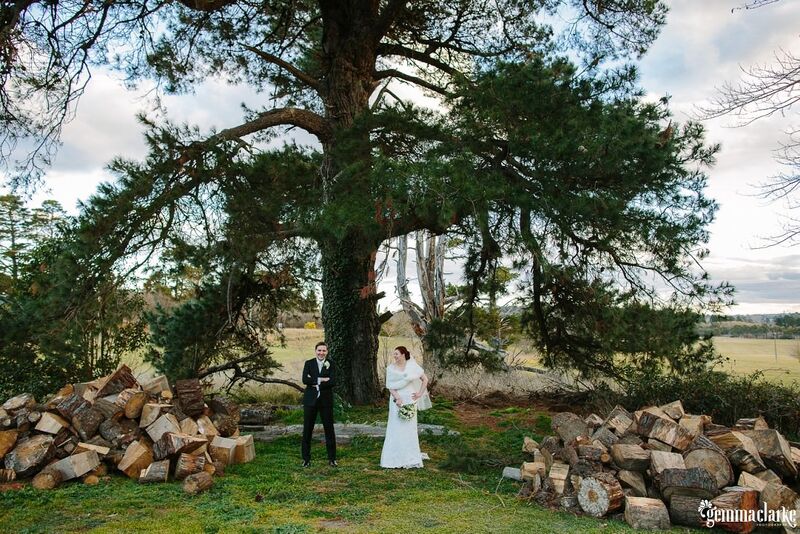 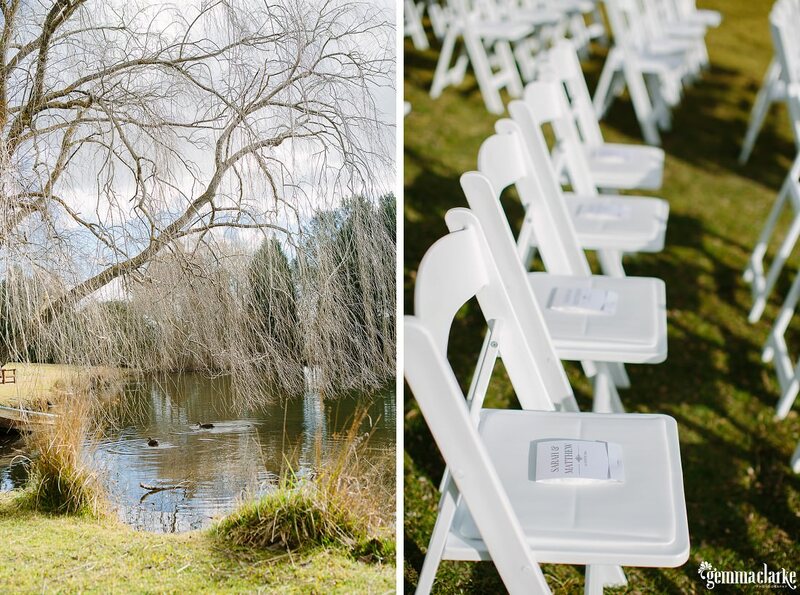 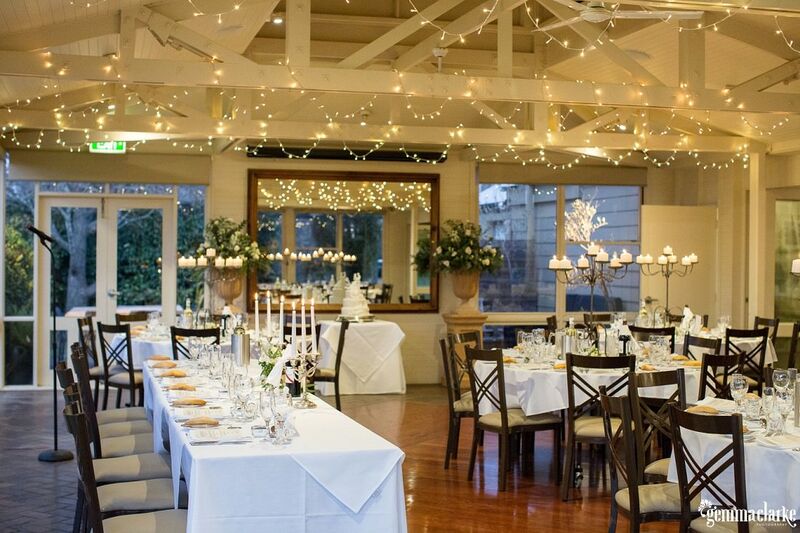 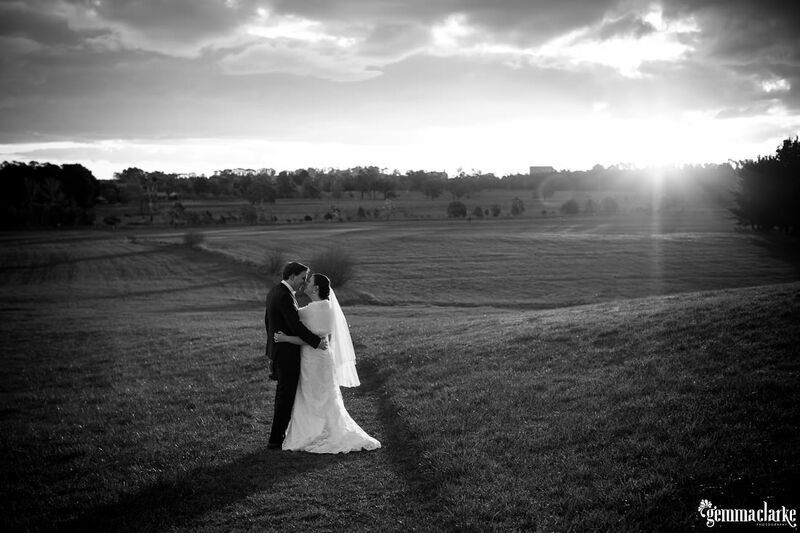 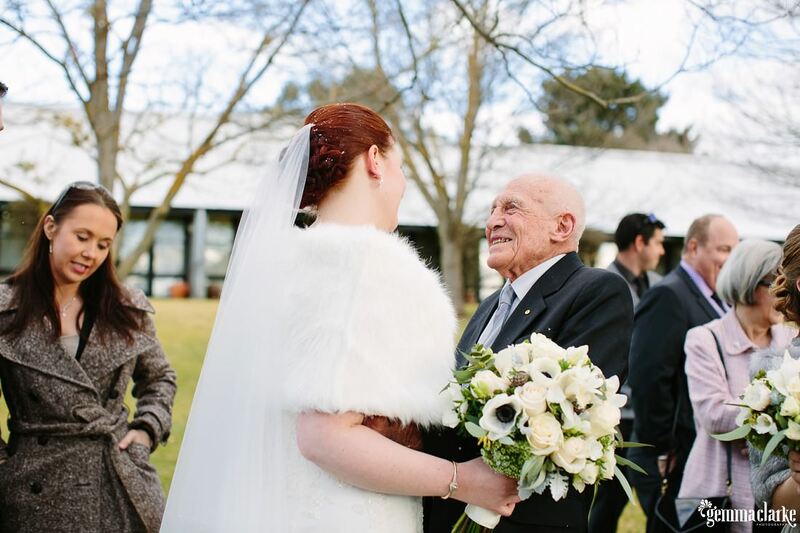 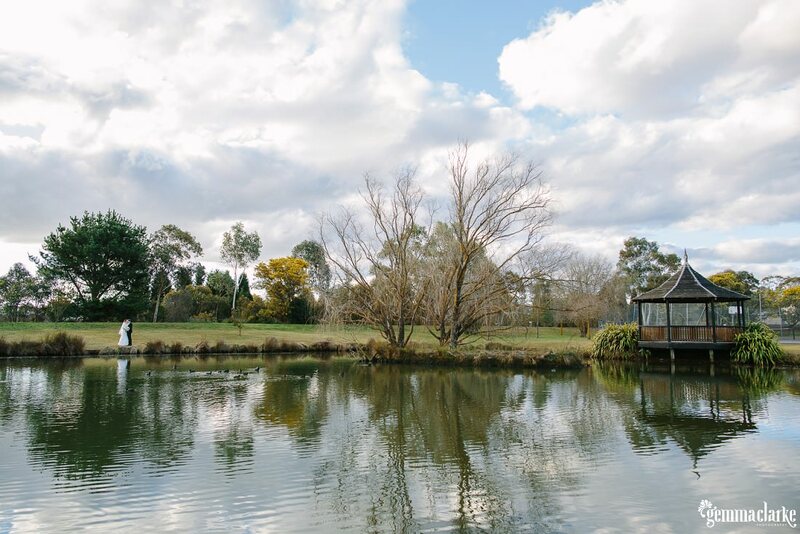 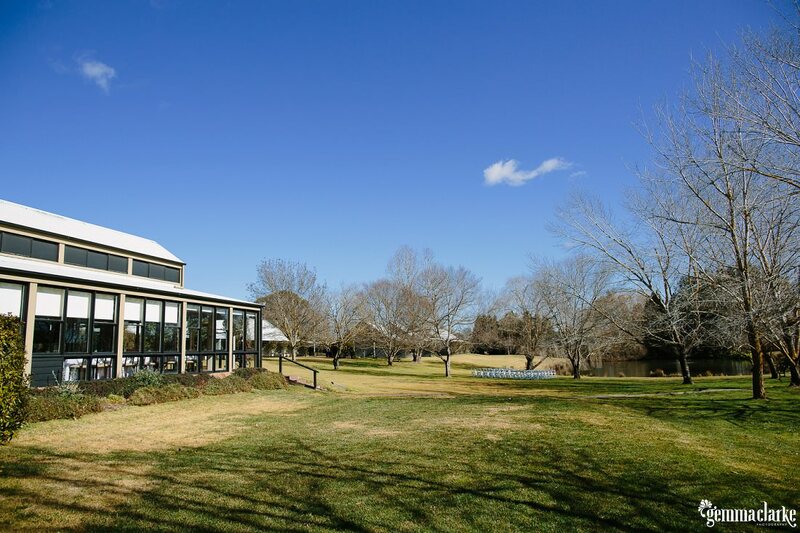 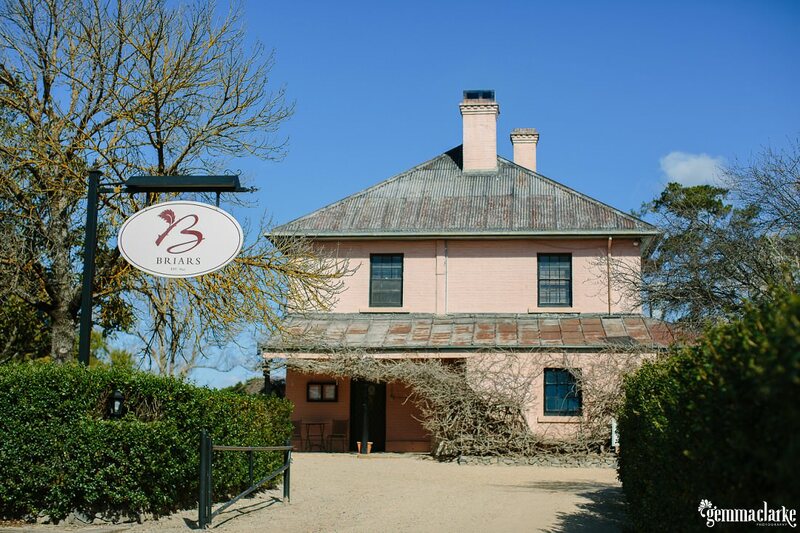 Bowral Winter Wedding – All the Details! 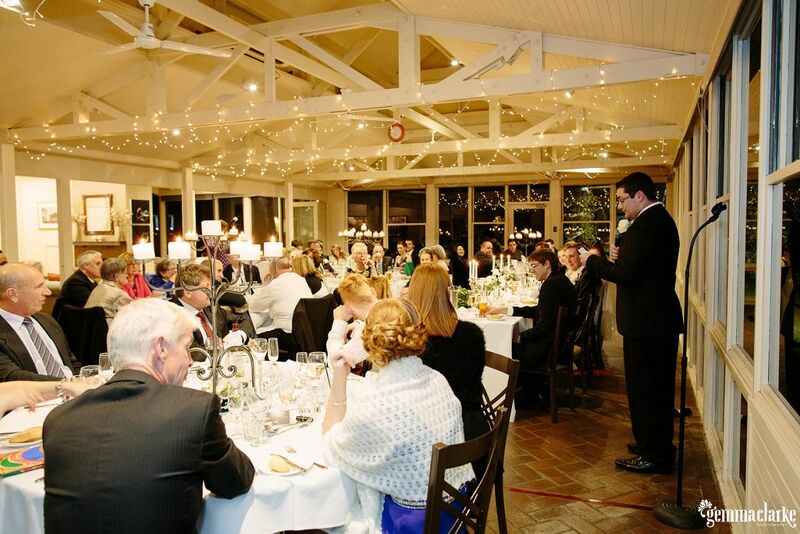 Flowers by Flower Haven / Celebrant – Sue Jackman / Venue – Briars, Bowral / Music and MC – Robrock Productions / Groom’s suit, ties and vests from Ferrari Wollongong / Bridesmaids’ Shoes – Forever New / Bride’s shoes – Christian Louboutin / Stationery – Save the Date, Invitations and Menus – Giant Invitations, Place cards, Table Numbers, Order of Service, Table seating chart and Thank you tags – DIY. 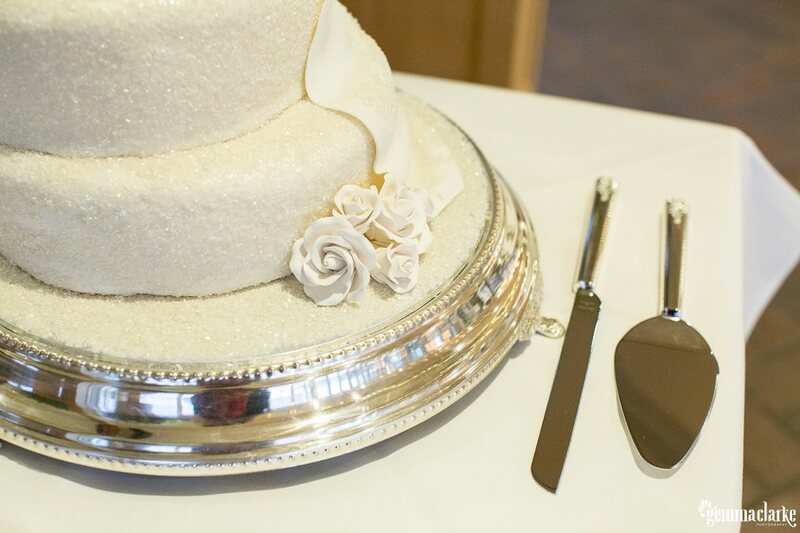 / Cake – Bev Brown, I Do Cakes / Engagement ring and wedding bands – Mondial by Nadia Neuman / Chocolate Hedgehogs from Purdys Canada.